I have a love hate relationship with metallics. It's one of those trends that comes around every year which you either nail on the head or it ends up looking like a shiny tragedy. Lets face it no one wants to resemble a shimmery disco ball. Whilst I prefer not to fall into the latter category, for some metallics may be a trend your wanting to embrace but are finding it hard to do so. For the purpose of today's post I'm talking about this metallic cami slip dress and how easy it is to incorporate into your own everyday style. On first impressions, I loved the cami style of this dress which I haven't seen too many of in midi length versions. I knew instantly that I wanted to dress this slip down which is why I instinctively reached for a basic white t-shirt to layer underneath. Whilst I was thinking to pair this dress with black high top converse, it is a midi dress after all and I felt I needed the added height. 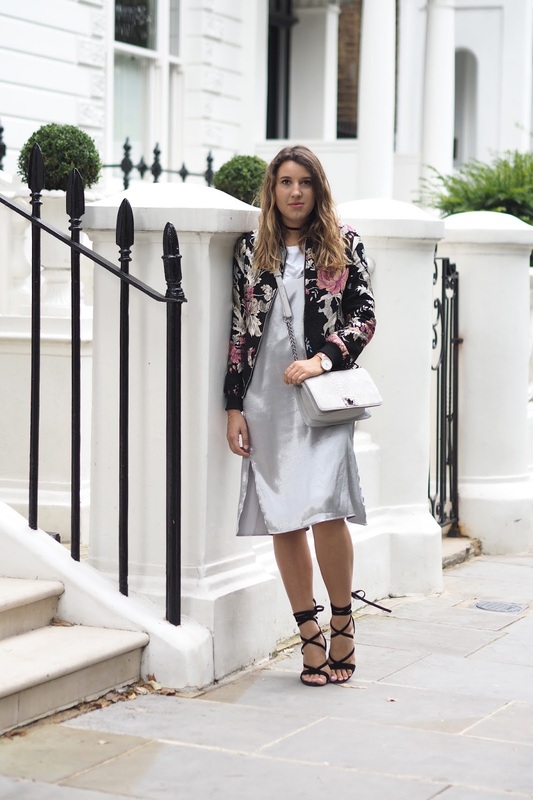 I talk all about wearing a midi dress with confidence in a previous blog post, which you can read here. So low and behold the lace up heels make another appearance on my blog but I must say I like the pairing. 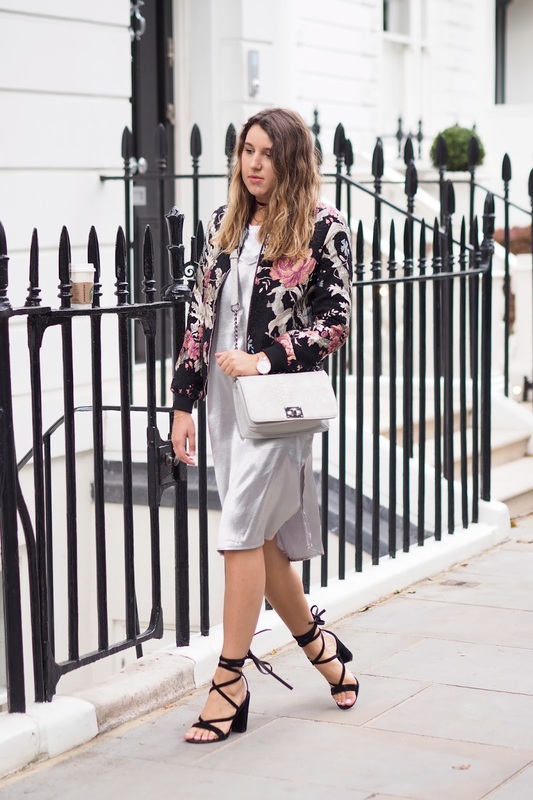 The t-shirt and bomber do the job of dressing this outfit down whilst the heels dress it up. As I live in London, the weather can be unpredictable at the best of times which is why you should always carry a jacket. 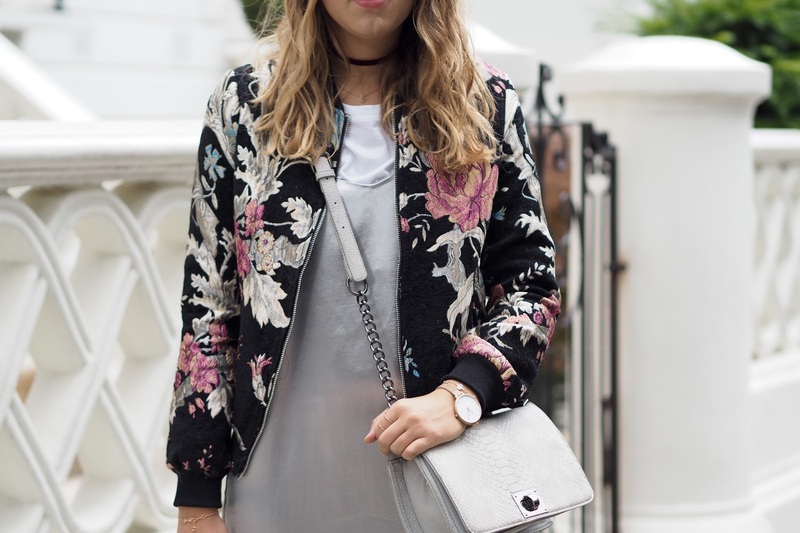 It feels as though this floral embroidered bomber has not left my back since I got it a few weeks ago. I may have even bombarded a few of you with varying photos of this gorgeous bomber on my Instagram. Apologies if this is the case but what can I say it was love at first try. 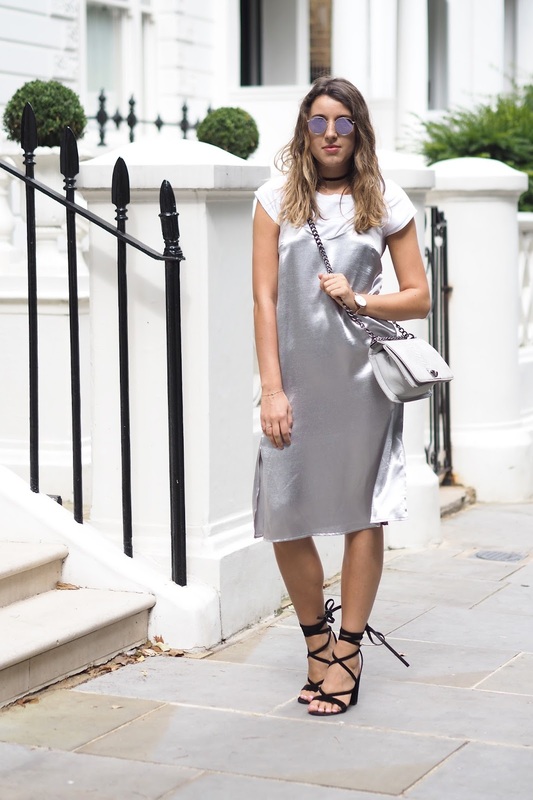 I would love to know your thoughts on this metallic silver slip dress. 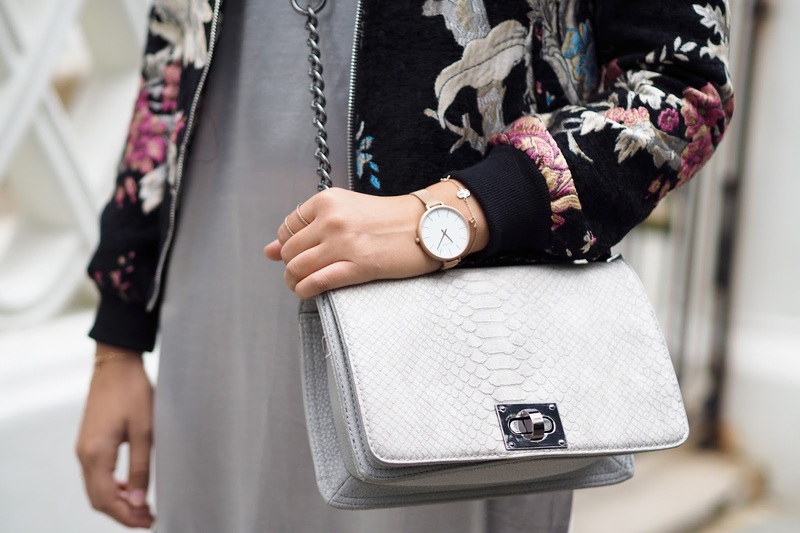 Perhaps it's time for you to shine and add one to your wardrobe too? I love your jacket and shoes!!! Beautiful outfit! 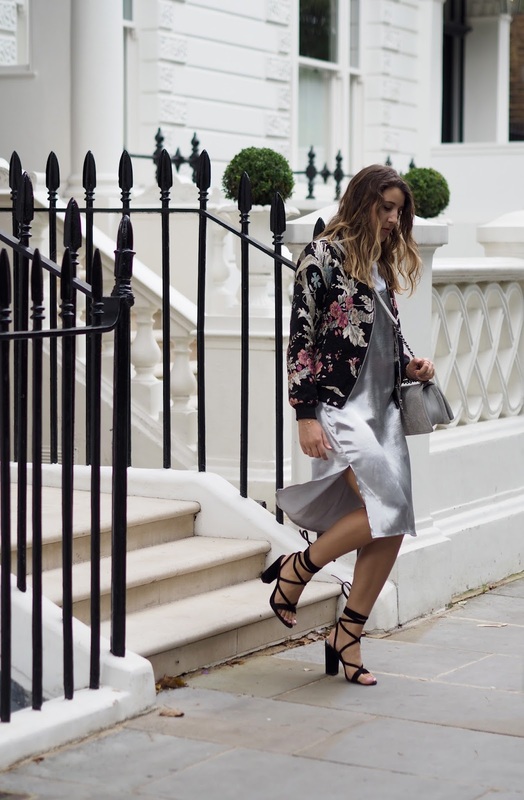 LOOOOVE that metallic dress, you've styled it so well!